Ukrainian recognized scientific and design company Yuzhnoye (Pivdenne) Design Bureau has announced plans to develop a KORSHUN missile family included new ground launched cruise missile. 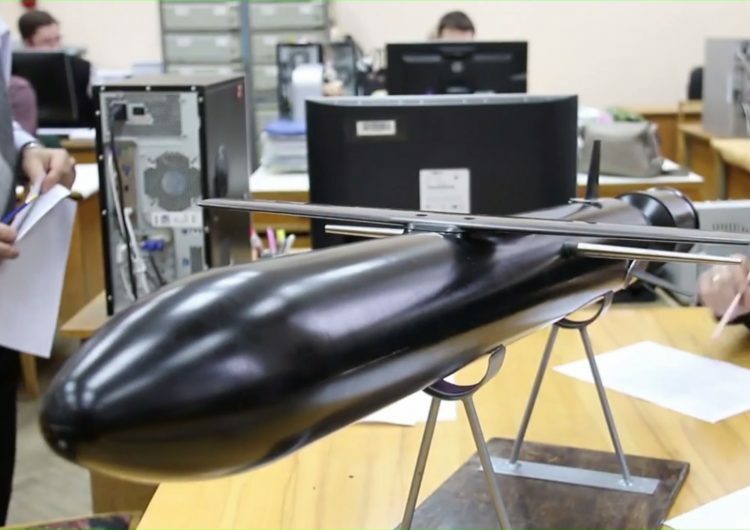 The Yuzhnoye Design Bureau has released promo video footage showing the model of new ground launched cruise missile from KORSHUN missile family. The company, however, has not provided any details or documents about the new missile. An unnamed Ukrainian defence industrial source says that the Yuzhnoye Design Bureau develops terrain hugging missile at their own initiative. It can be launched from mobile land or optional underwater platforms. The missile will use solid fuel rocket boosters before the jet engine comes up to power after a launch. The new ground launched cruise missile will have up to 500-700 km range and would be potentially able to penetrate enemy air defence systems undetected. The mock-ups and models of new KORSHUN missile family were showcased by Yuznoe Design Bureau numerous times. However, there is no reliable data at the moment regarding test launches.